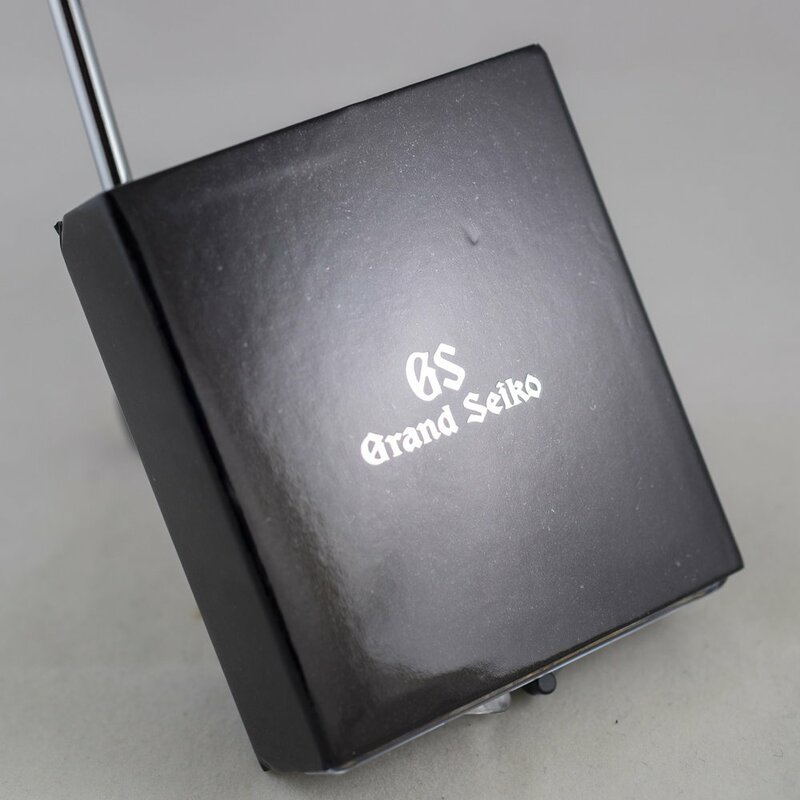 The GS9 Club is for customers who have purchased a Grand Seiko from a GS Master Shop or Boutique in Japan. Japanese residents are then able to register their watch for a range of benefits. These benefits include various events like product launches and even organised factory tours. GS9 members are also sent a biannual magazine that is also available from GS Master Shops. The function I was able to attend was a major event and ran over both days of the weekend. There was also a half day event on the Friday for dealers. The event was held in a large function room at Toranomon Hills in Minato, I visited the event on the Saturday afternoon. The event was broken down into different areas. When first arriving I was greeted at a large reception desk and bag check area. Heading inside there was a display of historical models that were provided by the Seiko Museum. 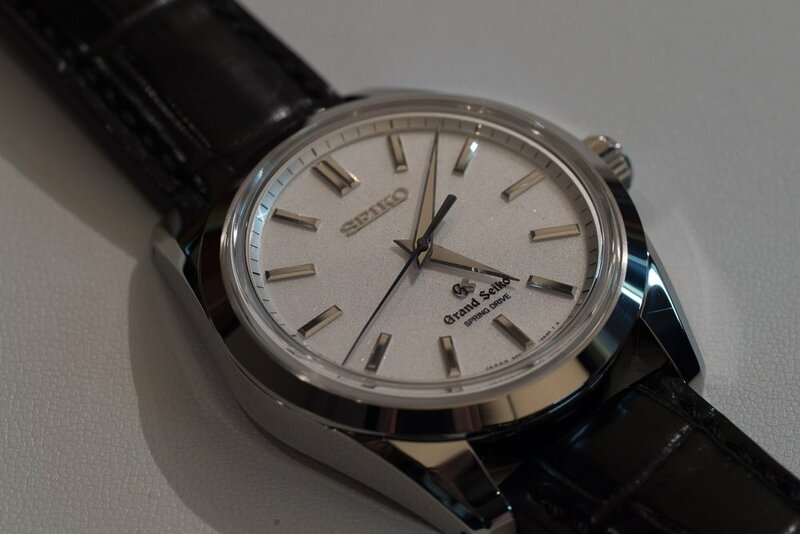 The models on display started with the first Grand Seiko model 3180. 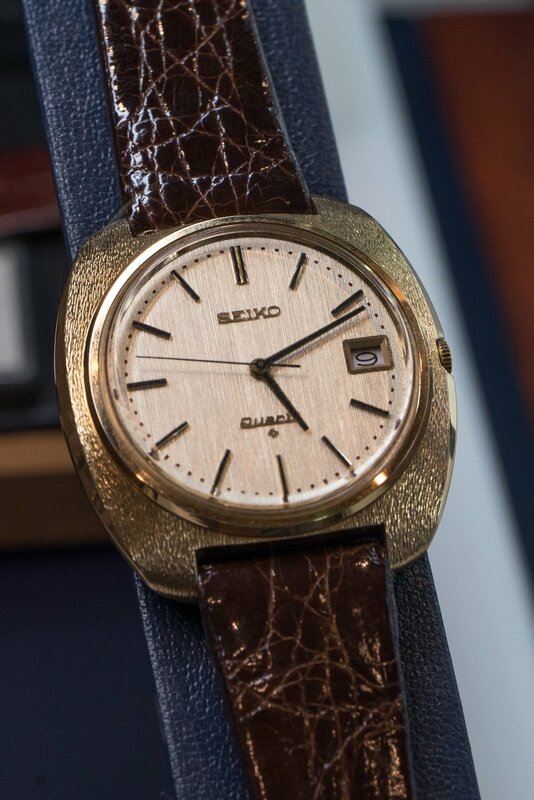 This was shown with the Seiko News issue where it was first announced as well as some advertising for the model. Next was a couple of VFA models from 1969. There was a 61GS VFA and a 45GS VFA. 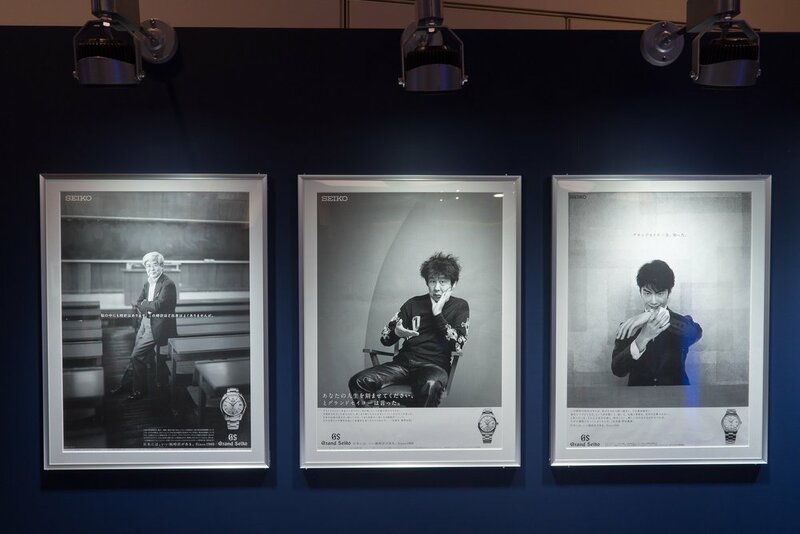 Behind the watches was a brochure featuring them. Next was another case with multiple VFA models on display. Following these cases was another that held various vintage GS models. 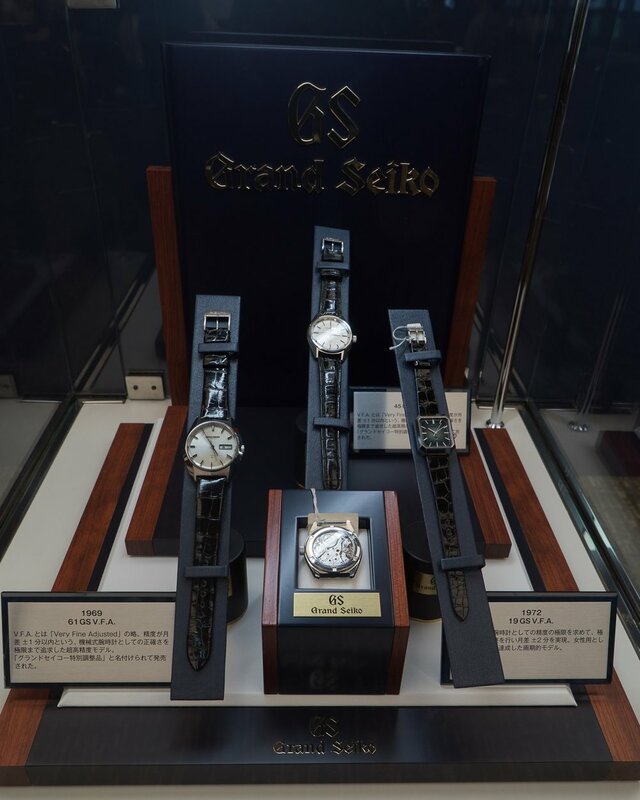 Behind these cases were some original advertising for Grand Seiko models. The advertising was for the initial model as well as later advertising that explained the GS standards. Moving on from this area there was some advertising from the reintroduction of Grand Seiko and the associated models. 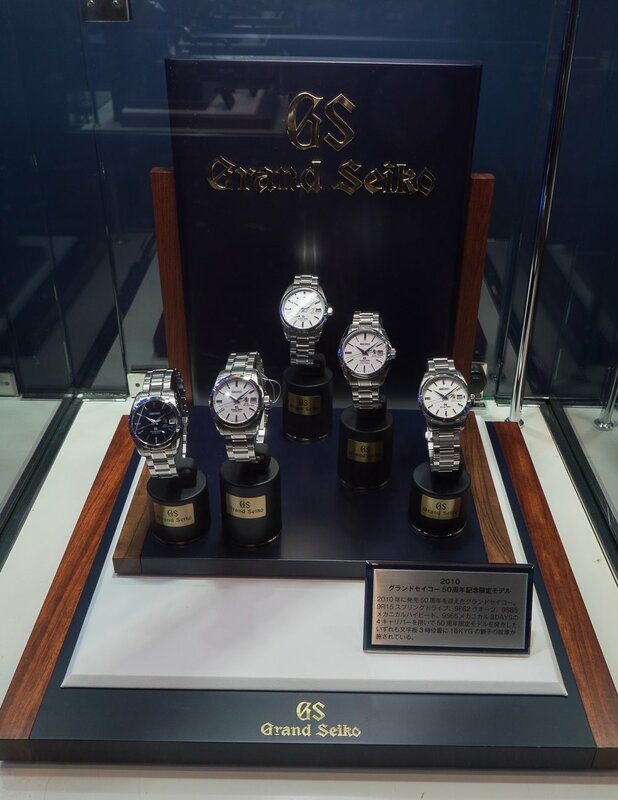 There was also a display of limited edition models that were released in 2010 celebrating the 50th Anniversary of Grand Seiko and some more advertising. Next to the museum displays there was an area that had a number of vintage models that were available for sale. This area was presented by BQ-Watch and there was some excellent models displayed. 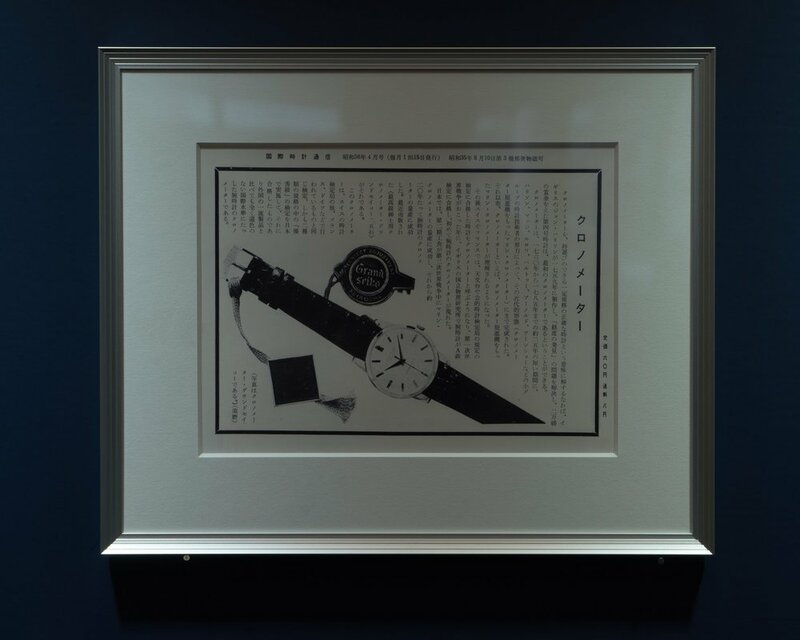 Yoshihiko Honda is the owner of BQ Watch and one of the leading experts regarding vintage Seiko in Japan, he is the co-author of the new re-issued editions of the Japanese Domestic Watch reference books. One of the first models I saw was the original Astron. There was an Astron with original box, strap, buckle and even the paperwork with matching serial number. There was also an original Astron with date display. Additionally there was a nice collection of mechanical vintage GS models. One of the most interesting pieces was an Astronomical Observatory Chronometer. This watch looked great but was outside of my price bracket. 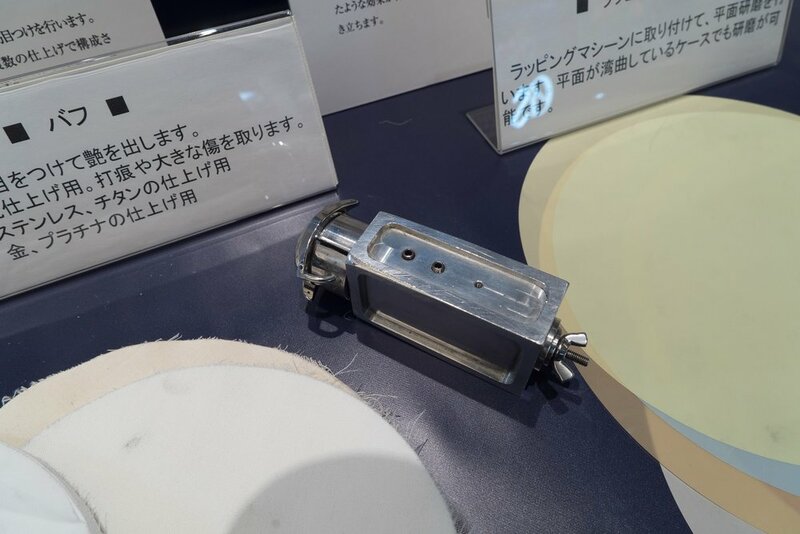 Moving from the vintage section was a display from the Seiko Epson Shiojiri factory showing how bracelets and cases are finished with both polished and brushed sections. They were also demonstrating that bracelets that are sent in for service can also be refinished via the same method. There was a service technician showing the process and this was filmed and enlarged onto a display behind them to make it easy to see. In addition to the operator there were a series of cards in the area that explained the process in more detail. As you can see in the photo there are also a range of different width protective tapes that are used to protect the different parts of the item. For example when polishing the inner link sections of a bracelet all the other brushed parts are covered in this gold tape so that this is not altered by the polishing machine. Also next to the tapes you can see the different grades of polishing material that was on display. These are fitted to a sanding wheel and the case or bracelet placed into a jig and then finished by the operator. This was an interesting section and it was nice to see in detail how the refinishing was done. 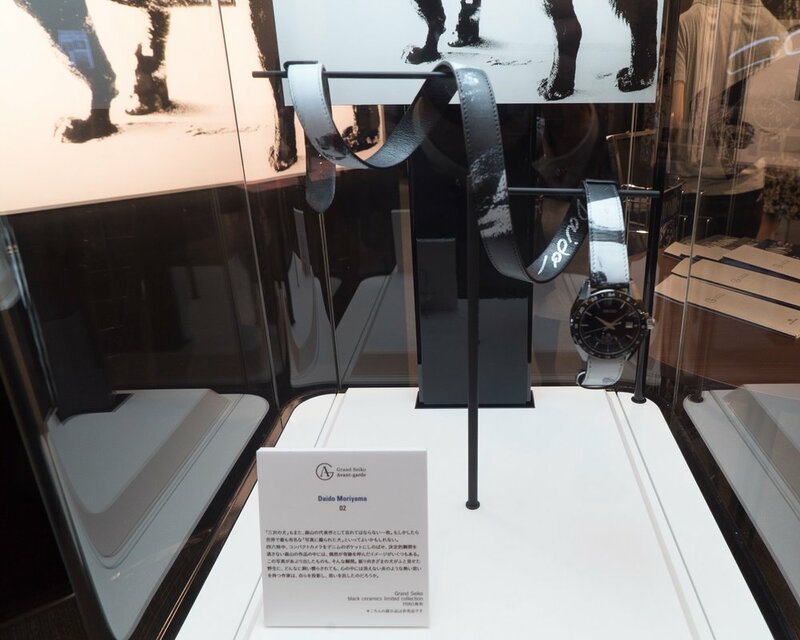 The next section was an evaluation area where customers’ watches were able to be evaluated. They had a number of quartz and mechanical timing machines as well as a microscope. 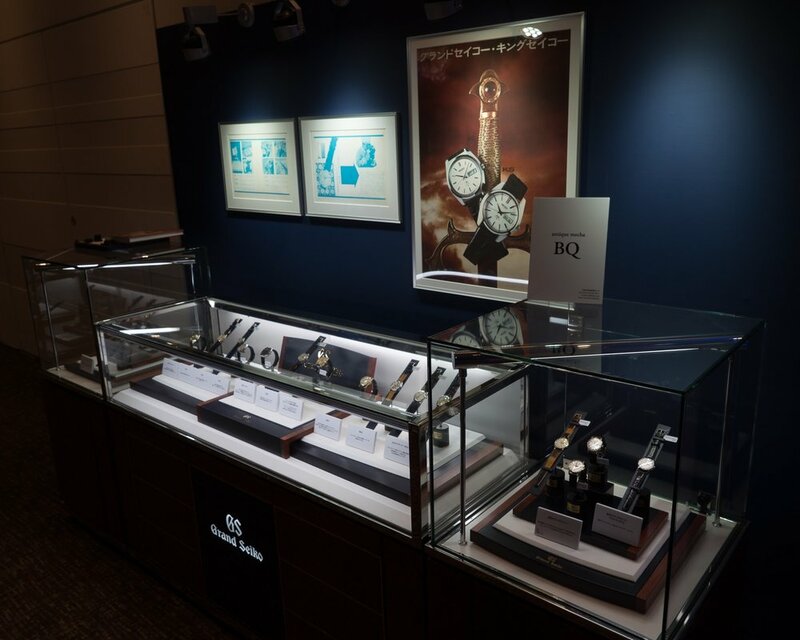 Technicians were able to test customers’ watches and give them a performance evaluation. 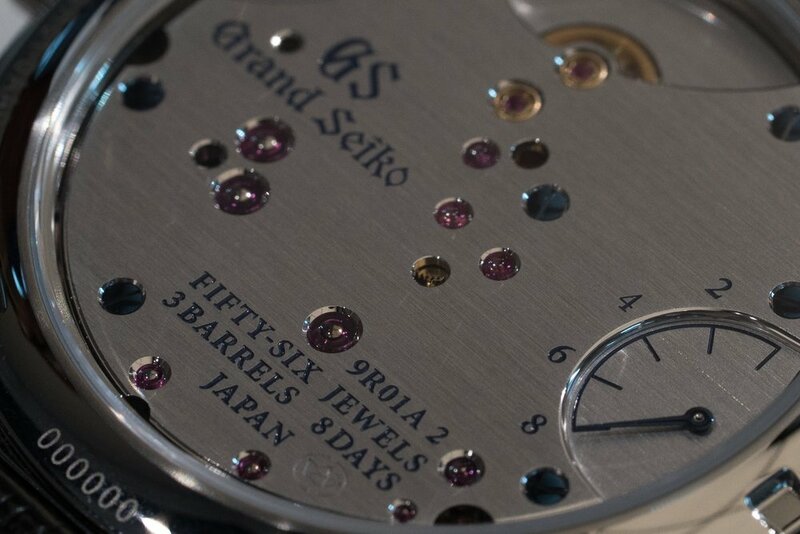 Next to the evaluation area was an area with a technician from Morioka showing the assembly of a mechanical Grand Seiko 9S movement. The technician completely stripped down the movement and then reassembled it. There was a camera that magnified the work area to allow people to easily view the technician working. After viewing the assembly of a movement there was an area where attendees were able to attempt to install a balance wheel into a 9S movement. This was a very popular area and they had continual sessions starting about every 15 minutes. Beside the balance wheel fitting area was another interactive area that allowed people to install indices onto a GS dial. This was also a very popular area. 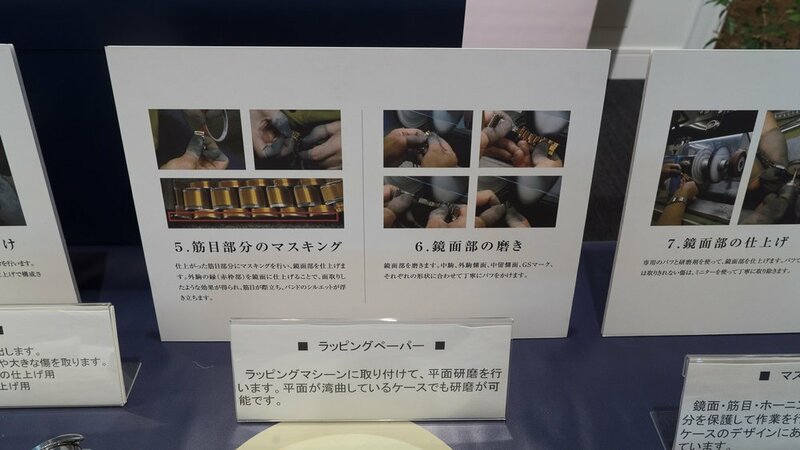 Next to these interactive exhibits there was a demonstrations by a technician from Shiojiri who assembled and disassembled a Spring Drive movement. Just like the mechanical demonstration there was a camera providing a video of the work on a large display to make it simple for multiple people to observe. In addition to the interactive exhibits for adults there was also an area designed for kids to allow them to assemble a quartz watch. 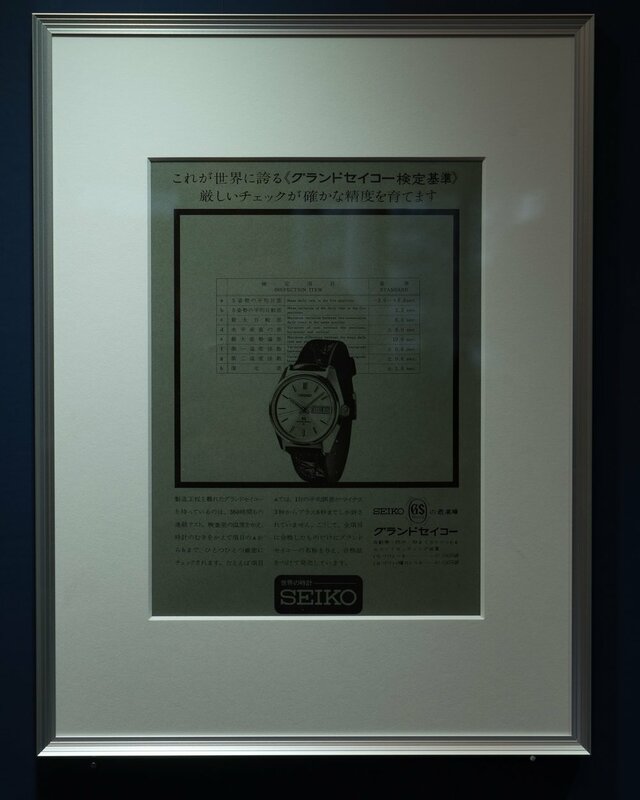 This section was operated by staff from the Seiko Museum and is something that they also do throughout the year to allow kids to have hands on experiences with watches. In this area children were able to put on white lab coats and then assemble a watch by installing the movement into a case, fitting a stem assembly, installing a battery, fitting a case gasket and screwing on the back. The children were able to select their components and make a design that appealed to them. 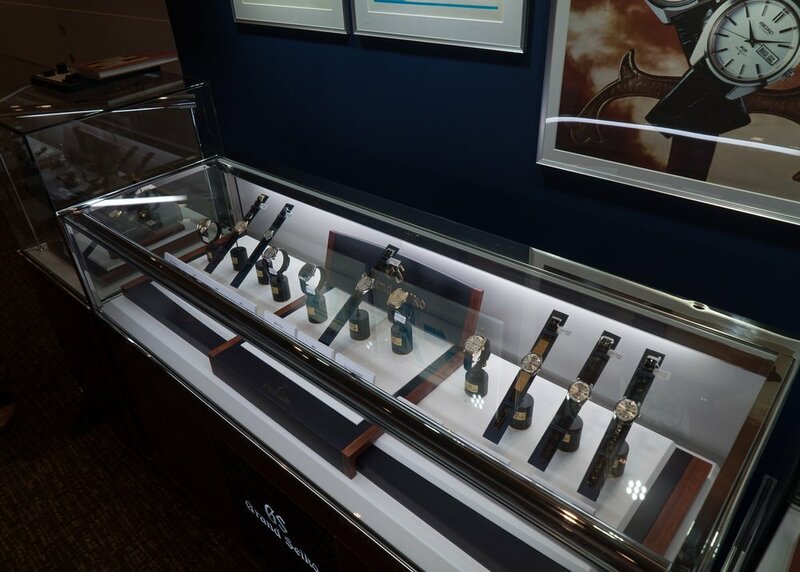 In addition to these interactive and demonstration areas there was also various new watch display areas. 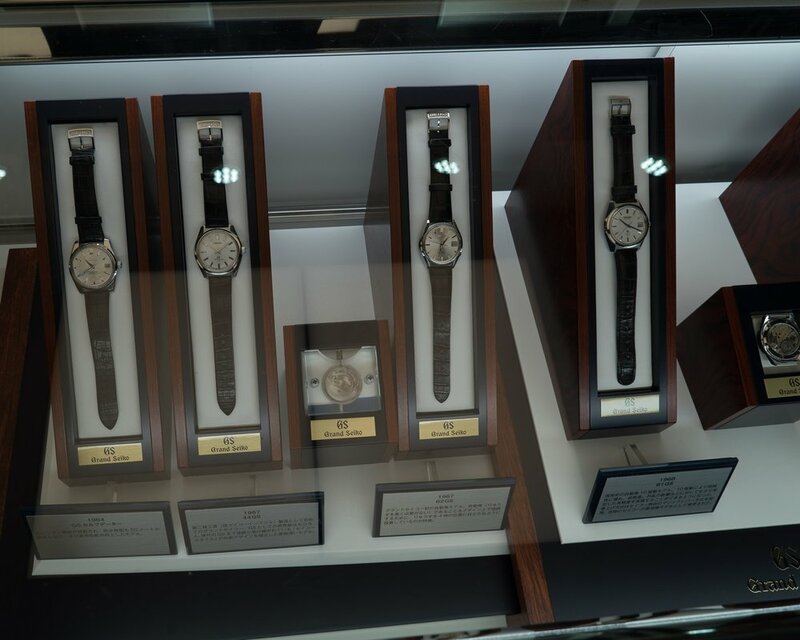 One of the key launches at this event was the Grand Seiko ceramic models. 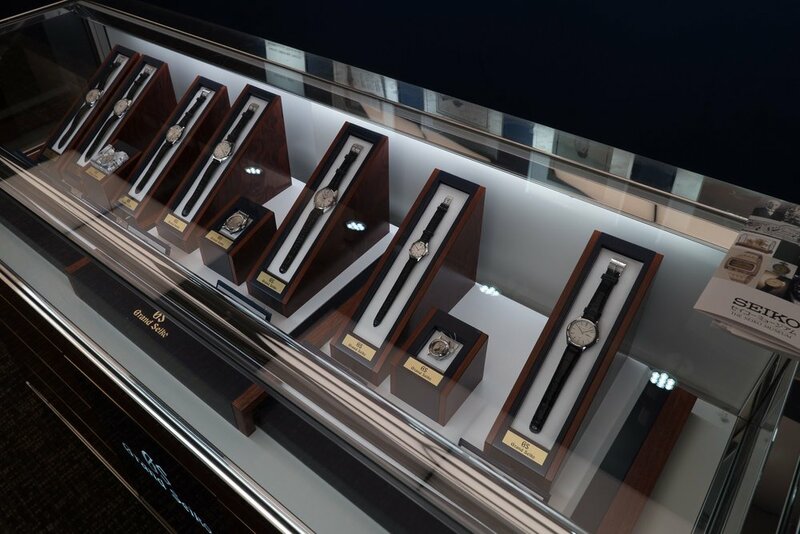 To commemorate the launch of these limited editions Seiko worked with two well know Japanese photographers to produce unique straps based upon their well known works. These unique straps were on display and they came with an extra long design as well as a regular length strap. The straps were presented along with a print of the original work so that they could be viewed in context. 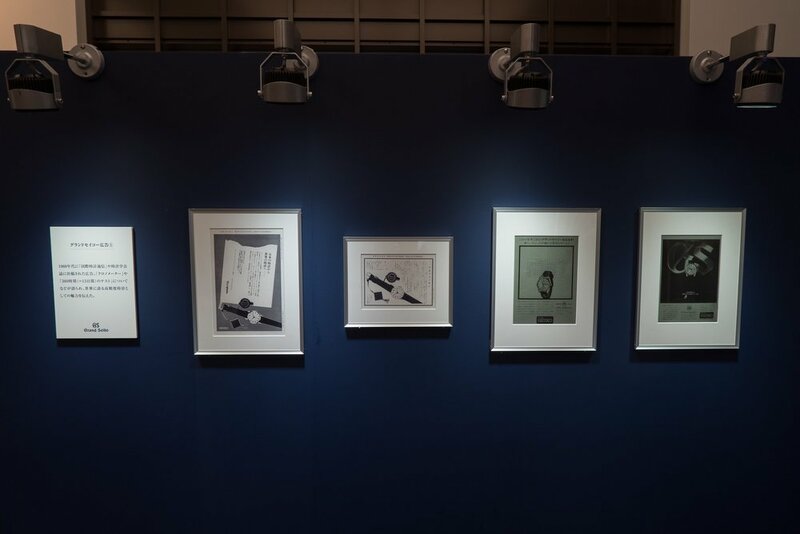 The designs by Daido Moriyama were more monochrome and based around well known shots of a stray dog and fishnet stockings. The designs by Nobuyoshi Araki are based around his work with flowers. These special straps could actually be won by purchases of the new limited edition ceramic models. When purchasing these models in Japan you were given a postcard with unique serial number that was sent into a random draw for 270 winners (135 from each artist). In addition to these Avant-garde versions the normal ceramic limited edition models were also on display along with the lineup of other newly released models. This area had many of the different current GS models that could be seen up close including various Master Shop exclusives. While all of these models were impressive there were a few models that clearly stood out. The ceramics were absolutely stunning and the pictures of these do not come close to doing them any justice. The level of polish on the ceramic is at another level and is a beauty to behold. The edges are all chamfered slightly and the case gives the impression this is done because they would be dangerously sharp without this. The zirconia ceramic is stronger and more scratch resistant than any other ceramic and seven times harder than steel. 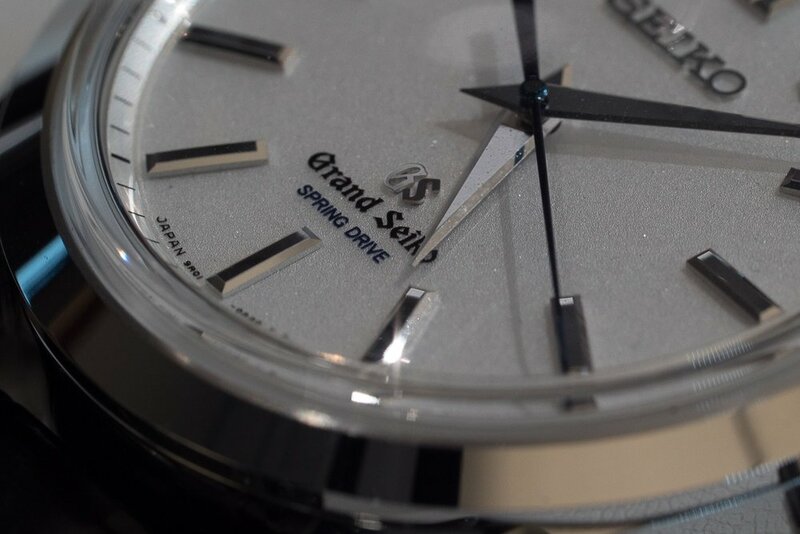 The other stand out model on display was the GS Spring Drive 8 Day power reserve. This is a large watch at 43mm and 13.2mm thick and is quite heavy with a zaratsu polished platinum case. The unique movement features three barrels to hold the 8 days of power reserve. The dial features a diamond dust finish that has an interesting texture and really catches the light. Due to the mirror like finish on the hands these can reflect the dial surface via the crystal in specific conditions. Coming from the Micro Artists Studios in Shiojiri the finish on the movement is impeccable. The massive bridge on the back keeps everything perfectly aligned and the power reserve indicator is also located on the back like the Eichi II. The mirror like surfaces on every edge is really impressive and cannot be faulted. 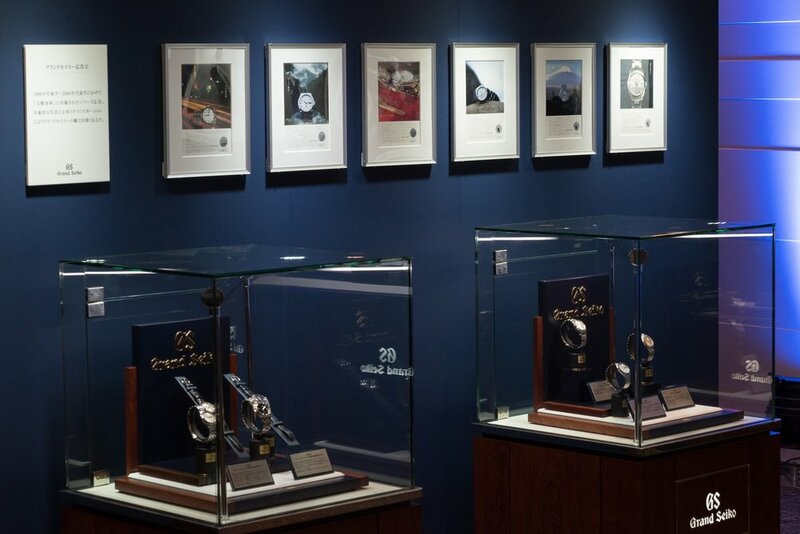 As well as Grand Seiko there was also cabinets showing the Galante and Credor models. Just next to the new model displays was a staging where where attendees could have their photos taken with a watch of their choice. Outside of this area was a general relaxation area where people could sit and enjoy a relaxing drink. 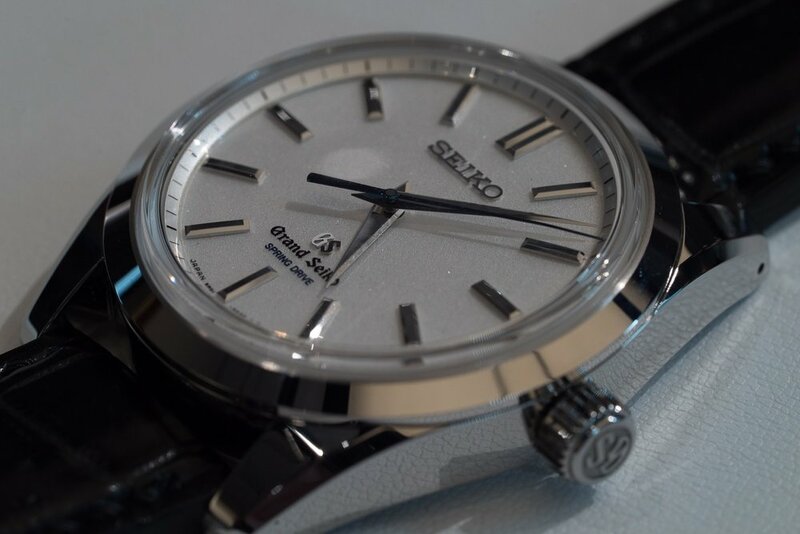 Upon leaving the event attendees were presented with a small Grand Seiko chronograph pin. This was a fantastic event and one I feel very privileged to have received an invite to. This was one of the best promotional activities I have seen from any brand in any market segment. It is this level of engagement and interaction with key customers that helps to build the dedication for the Seiko brand.